many florals including mimosa, white flowers, rose, and the scent of vanilla. I began purchasing samples a couple of years ago, and this has been with me from the beginning. I've seen good reviews for this on other sites, yet I, myself, don't know how to rate it-- possibly because my nose isn't so well-trained. 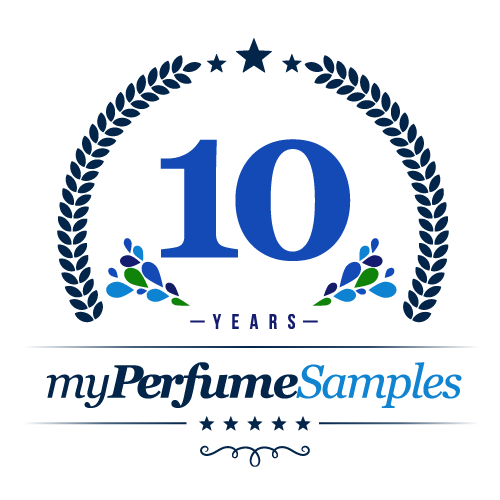 I only know scents that make me excited, and for those, having my full attention, I'm able to pick out most of the notes and describe my experience, the emotions I feel. Unusual combo of a myriad of flowers. A gentle background of spice. Beautiful. A real keeper. This perfume is very heavy and it will fill a room. Be careful not to over spray this. It is warm but too strong. The scent was not bad, although it leaned toward the warmer, sultrier side of florals I don't normally wear. What I couldn't handle was how overwhelming this fragrance was. The sillage was strong. Leave your impression on a room strong, and it was so sweet and cloying, like syrup, I almost felt like I was gagging on fragrance. Just too much. It's too amazing for words. It smells like honey and flowers which creates such a magical aroma that I want to smell it all the time. I actually spray it on the pillows before going to bed and always fall asleep with a smile on my face. This reminds me of those sharp floral bombs my grandmother used to overwear. I guess that ruined it for me. I heard so much about Poeme and couldn't wait to try it based on the fragrance notes (which are many), but when I did I was a little disappointed. I think it's the narcissus (which reminded me a bit of what I didn't like about Narcisse). The note is just a bit too sharp for me. I found this to be floral-heavy for sure, but it was also just "thick" and heavy smelling in general and when a note of sweetness was added it became too much. Poeme is beutiful beoynd words, maybe one of the most beautiful florals ever made. A pure classic from an era when they knew how to make a perfume, a concoction of mimosa honeyed orangeblossom and tuberose . Poeme is truly sunshine in a bottle. Spray lighty, a little goes a long way, lasts for hours. I like this when my mom wears it, but on me, the bitterness really comes out, and mixed with the sweet, it is almost too much. I'm not sure if it's the mimosa or narcissus that I'm smelling the most of, but one of those two flowers is perhaps too strong for me up close. I think this is probably best worn under clothes, so it doesn't become too cloying. I wore a sample of this many years ago and all I can think about is how good It made me feel wearing it,every now and then I would smell a little breeze of it and I remember feeling rich,happy,beautiful and just every thing was right with the world!I never got the chance to buy any so when I saw it I knew I had to have some!